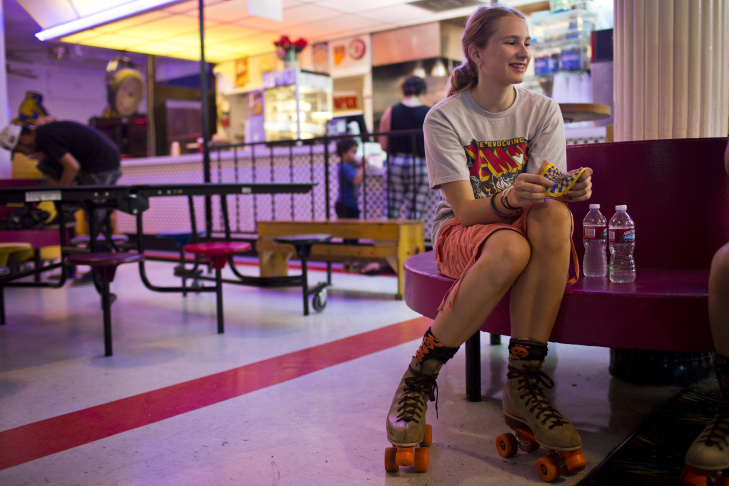 Sarah Weisz, 12, spends time at Moonlight Rollerway in Glendale on Tuesday afternoon, June 30, 2015. 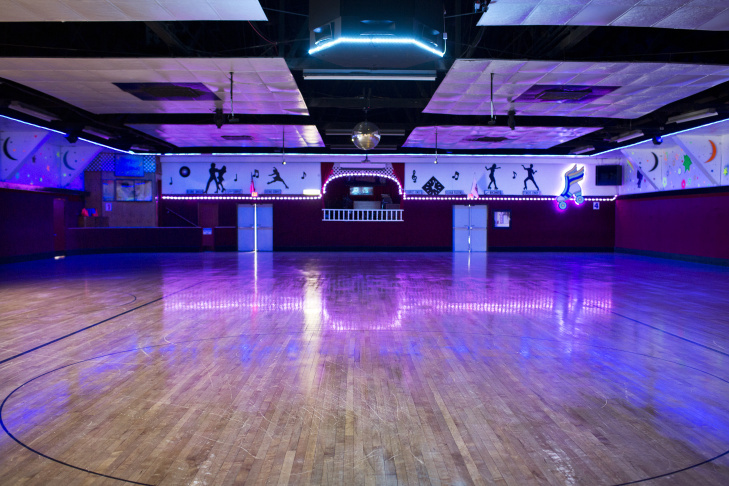 Weisz's mom used to come to the same roller skating rink as a kid. 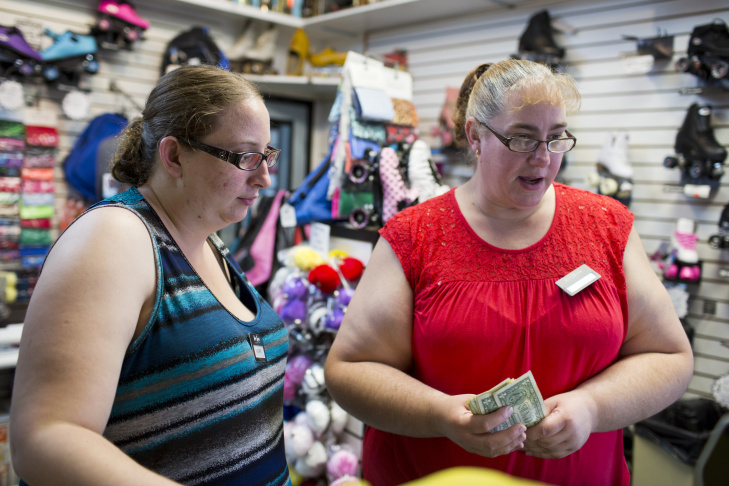 Valerie, left, and her mother Susan Woodard, the manager, work at Moonlight Rollerway in Glendale on Tuesday afternoon, June 30, 2015. Four Woodard family members work for rink owner Dominic Cangelosi. They commute together from Fontana to work at the rink. 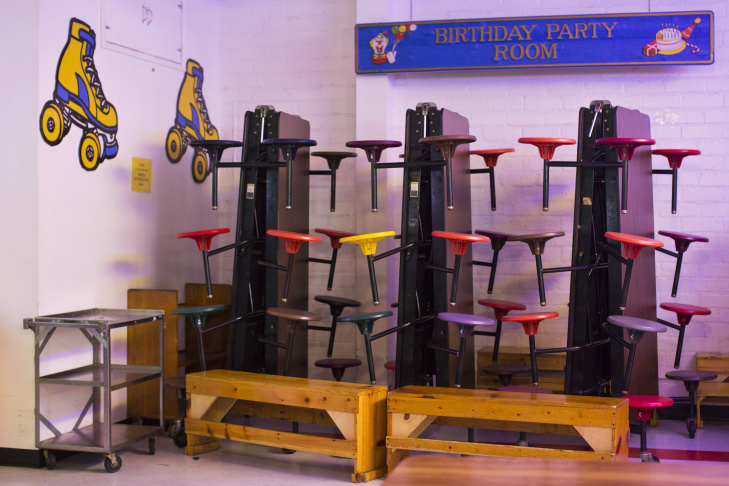 Susan Woodard has been working at a roller skating rink since she was 15. 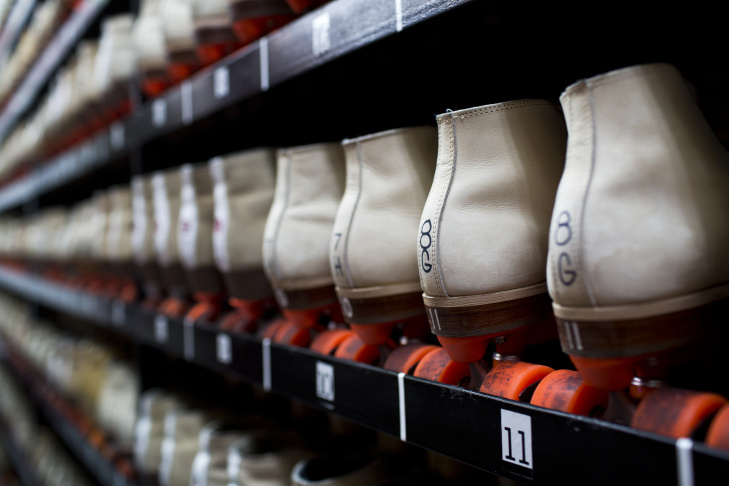 Moonlight Rollerway in Glendale hasn't changed much since it's founding in 1950. Then, minimum wage was 75 cents an hour. 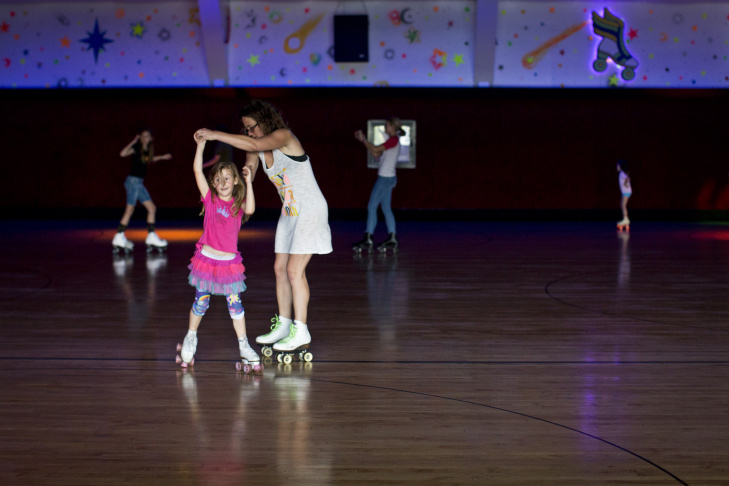 Bianca Ferro skates with her daughter Mila Janicin, 6, during afternoon all-ages skating at Moonlight Rollerway in Glendale on Tuesday afternoon, June 30, 2015. Ferro said walking into the space is like stepping through time. Dominic Cangelosi, owner of Moonlight Railway, took over the rink 30 years ago. Cangelosi thinks it would be easier if Glendale adopted a $15 minimum wage. 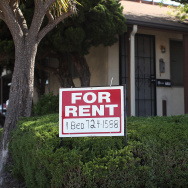 Even if the Los Angeles County Board of Supervisors approves a $15 minimum wage for workers in unincorporated areas later this month, joining the city, as expected, half of county residents could still live in areas with a lower wage. In some cases, what you get paid could depend on what side of the street you work on. Take San Fernando Road. The Golden Road Brewery sits on the west side of San Fernando Road - in the city of Los Angeles. It will have to pay its workers a minimum of $15 an hour by 2020. On the other side of the road, in Glendale, the Moonlight Rollerway looks like it hasn't changed much since its founding in 1950, when the minimum wage was 75 cents an hour. Dominic Cangelosi, who took over 30 years ago, said he watched with great interest when L.A. passed a higher minimum wage. “I thought, oh my goodness, I’m right on the city line," Cangelosi said. 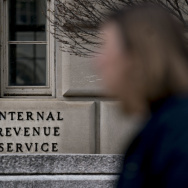 “Welcome to public policy in Southern California,” said Raphael Sonsenshein, executive director of the Pat Brown Institute for Public Affairs at California State University, Los Angeles. Sonsenshein points out the city of L.A.’s government is much less powerful than other metropolises because the city is only home to 40 percent of the county’s residents and not only borders other cities – it surrounds some of them. Which municipality you live in can have a big impact on things like taxes, schools, and policing –even if many people are unaware of it. The Los Angeles city council passed a $15 wage last month. And while it it the largest of the 88 municipalities in Los Angeles County, the others add up to real population numbers. “Minimum wage has probably done more to clarify for people how policy is made in Southern California than almost any issue in recent years,” said Sonsenshein. Cangelosi, who owns the Moonlight Rollerway, knows that well. Eighty percent of his employees make minimum wage (though, he likes to point out, they and their families do get to skate for free). But he doesn't see keeping the lower minimum wage as an advantage. Cangelosi thinks it would be easier if Glendale adopted a $15 minimum wage. But Glendale’s Republican mayor, Ara Najarian, isn’t ready to do that. Glendale wants L.A. to be the guinea pig; Najarian wants to see what effect it has there before Glendale moves forward. But Santa Monica - a city so liberal 60 Minutes once called it “The People’s Republic of Santa Monica" - is another story. 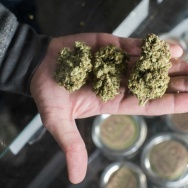 “Frankly, I think Los Angeles moved a bit faster than we thought and they certainly spurred us to move a bit more quickly,” Mayor Kevin McKeown said last month. Santa Monica’s council plans to vote on a higher minimum wage in September and Mckeown said its likely it could go higher than $15, since the city already has a $15.37 “living-wage” for hotel workers, city employees and contractors doing business with the city. “I’d say the history of actions by this council would show it’s a progressive council,” said McKeown. West Hollywood also may outdo Los Angeles on the left. Mayor Lindsey P. Horvath sees no reason to wait five years for a $15 minimum wage to go into effect. “I would expect that we would consider a rate that’s higher than Los Angeles has considered,” Horvath said in May. Rusty Hicks, executive secretary-treasurer of the Los Angeles County Federation of Labor, who lead L.A.’s $15 wage campaign, is now planning to push it in the rest of the county. Without a uniform wage, he said, many workers could live in a city with a higher minimum wage but work in one with a lower one, or vice versa. “In order to cover all of the workers in L.A. County you have to go to other 80-plus cities in L.A. County to make sure they get covered as well,” Hicks said. “I don’t expect other municipalities to take as long as L.A., but I certainly don’t think it’s going to happen overnight." He said no formal campaigns are underway yet. Union organizers have begun lobbying Sacramento. Last month, the California Senate approved raising California’s minimum wage to $13 in two years, though the increase faces an uncertain fate in the California Assembly. And then there's Orange County, where 41-percent of the population registered Republican. This spring, Irvine repealed its living wage ordinance that had been in place since 2007, much to the disappointment of Ana Cabral, a political organizer at the Orange County Labor Federation. “I think we feel like we’re moving a little bit back backwards, but we’re not going to let that discourage us,” she said. The effort to repeal the law was led by Irvine councilwoman Christine Shea, who argued it was flawed because city contractors have been required to pay higher wages in every city they operate in – not just Irvine – which resulted in contractors passing those additional labor costs to Irvine taxpayers. "They pumped up their contract bids over six figures," Shea said. Shea said Irvine has a business-friendly reputation, and she wants to keep it that way; she does not think the city should pass a higher minimum wage. "The minimum wage in California will be going up to $10 an hour by 2016 and I believe that is a fair wage," she said. "I just don't believe dictating higher minimum wage is always the best for the marketplace." As Pasadena moves to raise minimum wage, could Glendale be next? How will LA's wage hike affect its workers and businesses?